The program is called NatureMapping and it's mission is to enlist the community and schools in monitoring the health of our beaches and contributing data to a state-managed biodiversity database. If you can get to a beach, you can help survey invertebrate species and intertidal marine fish. Tuesday, October 27, 2009 at the Seattle Aquarium, from 8:30 am- 4:45 pm. 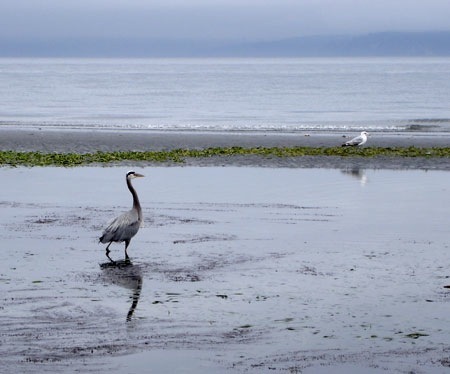 Tuesday, November 10th, 2009, at the Port Townsend Marine Science Center in Fort Worden State Park, Port Townsend, WA. If you're a K-12 teacher you can even get Clock hours.